Sold! You'll be floored at the value. 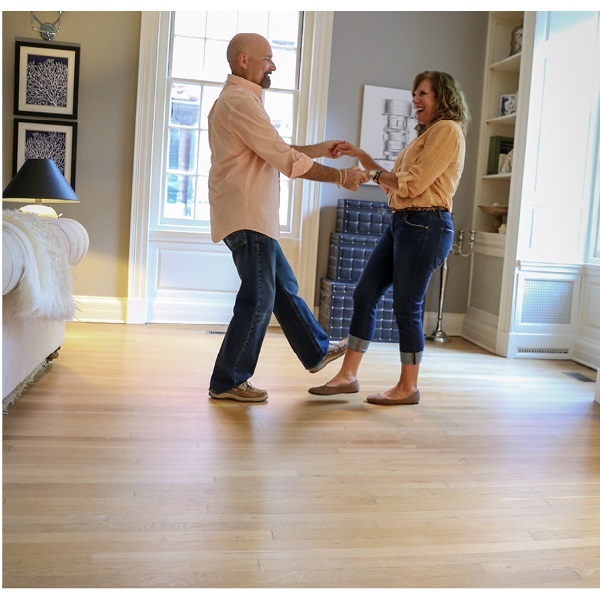 When the time comes to buy a bigger home, or to downsize, homes with wood floors sell faster and for more money than homes without them. Real estate agents indicate that identical homes with wood floors can sell for up to 10 percent more. When maintained properly, wood floors can last hundreds of years, providing a great long-term value. When properly maintained, wood floors can last for hundreds of years. Solid wood floors can be sanded and refinished numerous times during their service lives, and can even be stained to give them a completely new look. Decorative items like medallions and borders can easily be added to existing wood floors to provide an updated look as well. Best of all, over time, wood floors can adapt to any décor and style changes without having to be replaced. 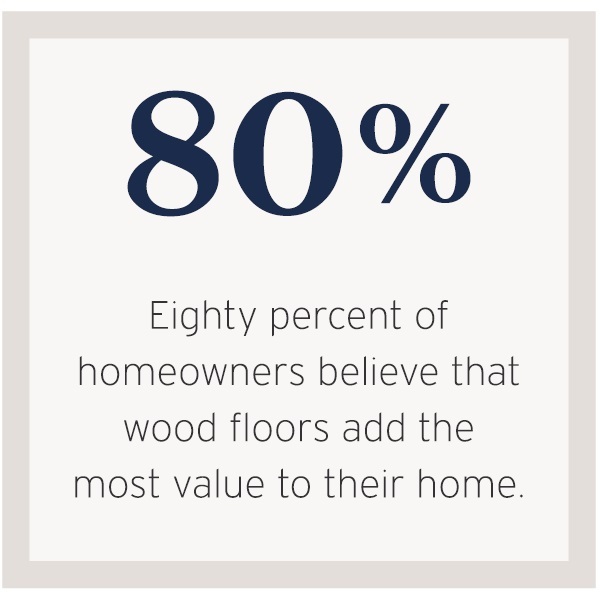 To really bring home the point about the value of wood floors, consider this. A survey of real estate agents concluded that homes with wood floors sell faster and for more money than homes without wood floors. The survey further concluded that the increase could be as much as 10% more, which is a significant increase in overall home value.